We manage your technology so you can manage your business. Slash calling costs, streamline operations, and meet your business and customer demands with our "all-in-one" VoIP solution. Let us manage and support your technology so you can have less downtime and focus on your business. Our communications professionals are trained to customize a network to meet your specific needs. Our team of certified professionals are true craftsmen in the field of cable infrastructure installation. We are Team Hogan! 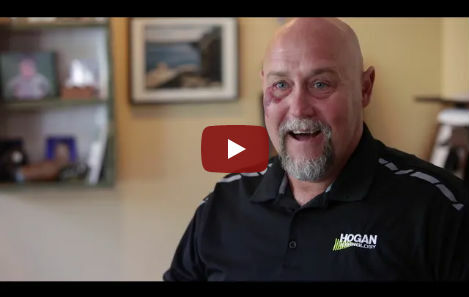 Some customers, employees, and our leaders share a bit of the history of Team Hogan. Hogan Technology has been offering VoIP services since its inception. We provide our customers the right product and service that not only saves them money, but also increase productivity. Learn how Hogan helped the Springfield Thunderbirds implement a comprehensive phone, Internet and computer solution without the hassle of dealing with multiple companies. Why call 3 companies to fix 1 problem? Technology is becoming more integrated with all aspects of your business. It can be difficult and frustrating dealing with multiple partners when you have an issue with your technology. Don’t get caught in the middle of the finger pointing between technology providers. One call to Hogan Technology and we can assist you with our full breadth of service that will meet all your technology needs. We can manage your voice & data networks, provide you with desktop & server support, and even help get the most out of your voice & internet services. We manage and support all the technology in your business. Starting with infrastructure, management of your data, along with your hosted cloud telephony services. By doing this, we are able to increase your profitability and give you a competitive advantage by managing and deploying the proper service for you. "New England Environmental, Inc. (NEE) first engaged Hogan Technology to perform the IT and Communications wiring in our new, LEED certified office building in Amherst. We were so impressed with their services that we soon contracted with them to provide our VoIP and Managed IT services. Hogan has provided us with great communications training and rapid response IT services. NEE is now more efficient and we can better focus on providing environmental services to our clients."